Pearson Sells Family Education Network to Sandbox Partners - Berkery, Noyes & Co., LLC. 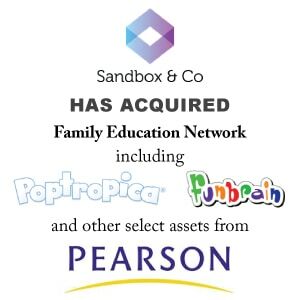 LONDON / BOSTON: Sandbox Partners announced today the acquisition of “edutainment” network FEN (Family Education Network) from Pearson, the world’s leading learning company. FEN has one of the largest integrated digital audiences of children, parents and teachers totaling 25 million visits per month.